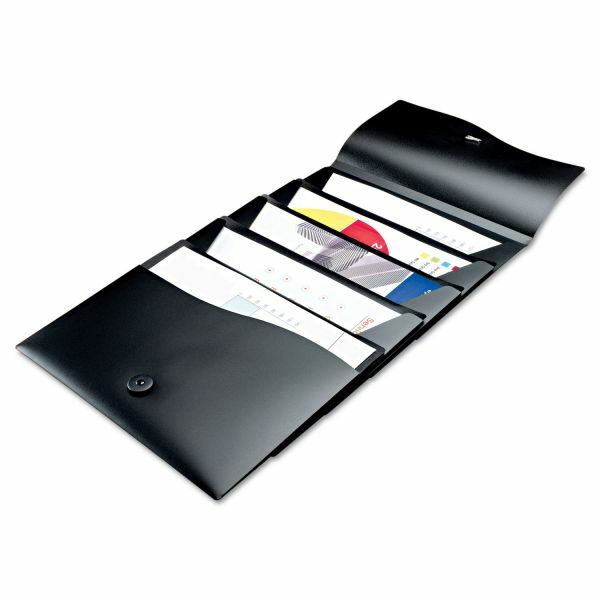 Elastic closure keeps documents secure. 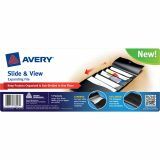 Avery Slide & View Expanding File, 5 Pockets, Polypropylene, Letter, Black - Easily identify and organize your ongoing projects with this innovative expanding file. When open, the five separate sections slide apart for quick access and visibility. To save space, the file easily collapses, and an elastic closure keeps documents secure when you're on the go. 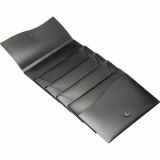 And each durable section can hold up to 40 sheets of 8 1/2 x 11 pages. 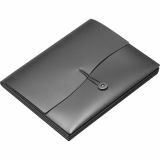 This essential expanding file makes it easy to keep your projects organized, divided and secure. File fits nicely into a file cabinet for long-term storage. Each pocket holds up to 40 sheets of 8 1/2 x 11 paper.